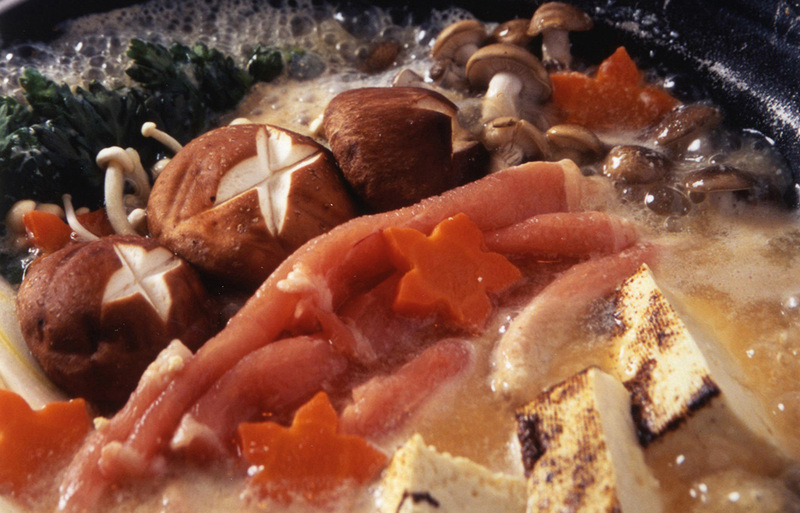 Enjoy our winter hot pot dish filled with a lot of localmushrooms. The summer menu includes eggplant dishes, salad and local beef. Both meals are served either in the big dining hall or the medium dining hall on the second floor. 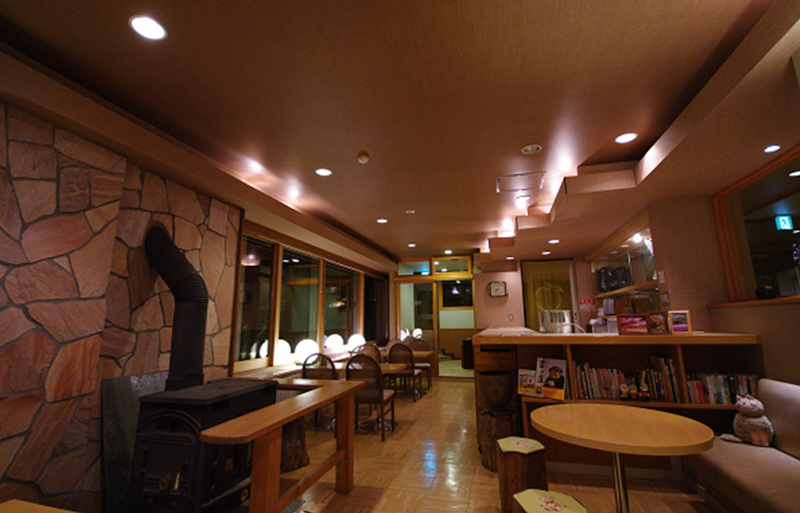 For having a dinner, we ask that you order at least one day before you arrive. 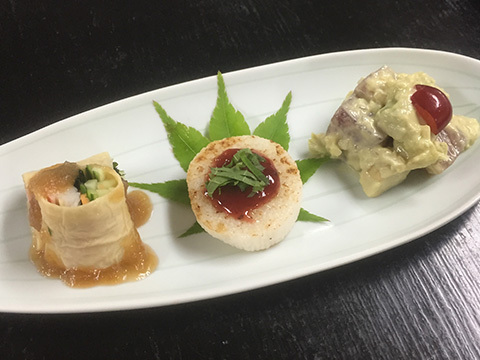 · In dinner course, most of the dishes change because ingredients are seasonal. 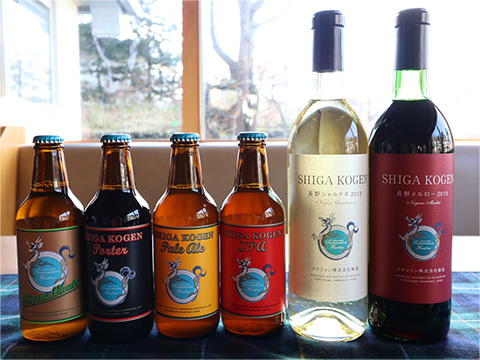 · Rustic cuisine using ingredients in the area of Shinshu is popular among both Japanese and foreign guests. 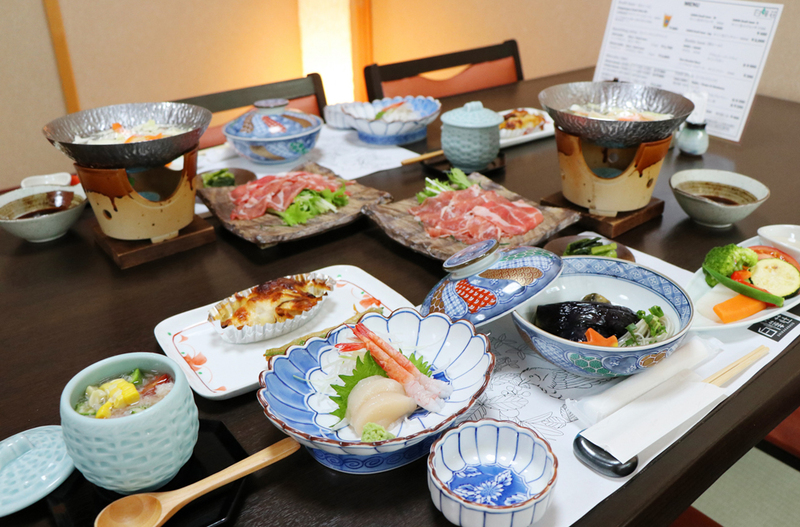 · Our main dish is Shinshu beef, one of the best grades of beef in Japan from cows fed on apples. 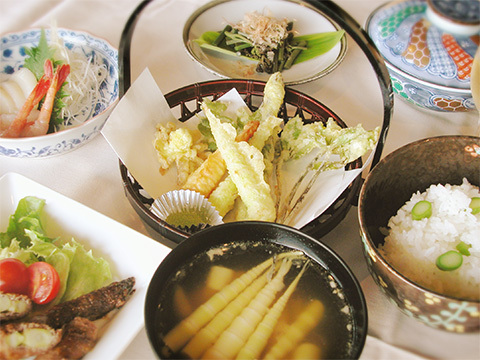 We offer homemade dishes cooked with local fresh vegetables. 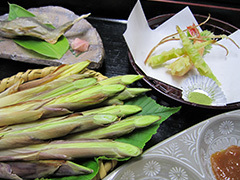 · Please enjoy our seasonal local specialties such as bent bamboo roots and eggplants. 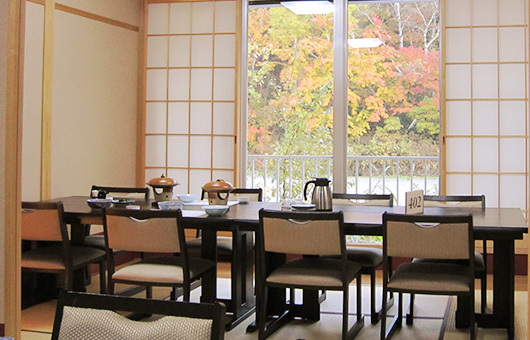 Dinner and breakfast are served in the dining room on the 2nd floor. 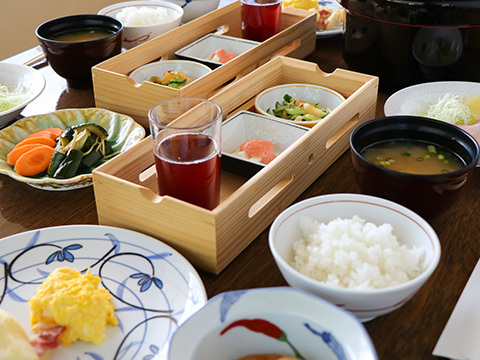 The breakfast is set menu. 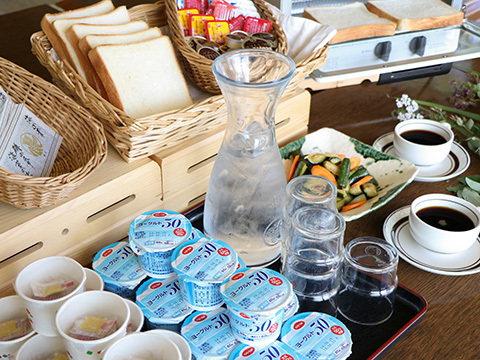 You can help yourself for some meals such as bread, yogurt , natto and pickles. Lunch is available at a nearby restaurant. There is no convenience store around the hotel. Some snacks, soft drinks and alcohols are available in the hotel's shop. You may bring food to your room. But do not cook it in your room or do not eat it in the dining room. Open during the winter season only. Help yourself for coffee and tea in the lobby.